Practical and Real Life English Speaking Atmosphere: Shows how more confident CIP students are in using the English language due to its culturally diverse environment. 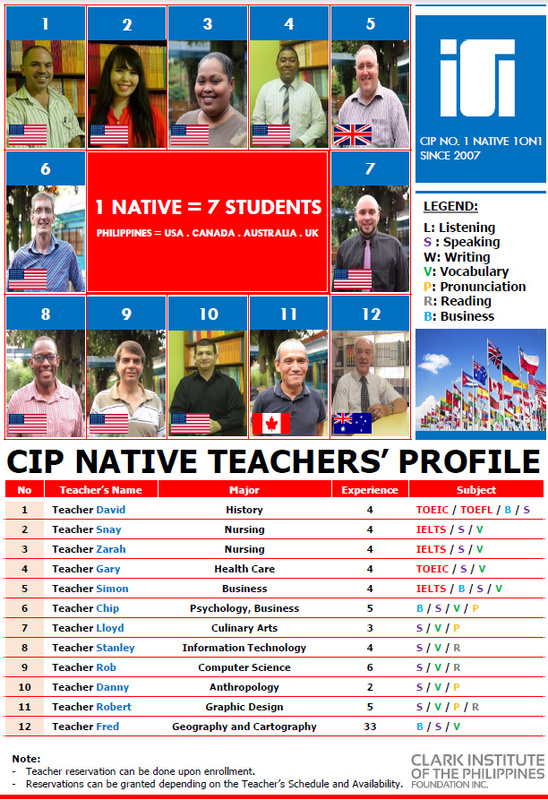 Study English with Natives: Shows the benefits of studying with Native English speakers from America, Australia, Canada and England. "Spending my time in CIP has really been fantastic."